Here’s why getting away from your phone before bedtime is so important. There’s nothing quite like a good night’s sleep to have you bouncing out of bed and ready for whatever the day throws at you. On the flip side, not getting enough quality sleep can leave you feeling — and behaving — like the proverbial bear with a sore head. We spoke to CQU researcher and Sleep Health Foundation spokesperson Dr. Amy Reynolds to get the facts straight on how those “urgent” work emails or late-night LOLs could be costing you quality snooze time. While technology has made it easy to do almost anything we want at the touch of a screen, it can make it difficult to disconnect, even at bedtime. And research into the effects of device use on sleep continues to suggest that technology and sleep simply don’t make good bed buddies. A three-year study by Griffith and Murdoch Universities looked at late-night mobile phone use, sleep, and mental health indicators in Australian teenagers1. That study found that late-night mobile phone use directly contributed to poor sleep habits, leading to longer term declines in overall wellbeing and mental health. Studies into screen use in both adolescents and adults is consistently showing a negative link between phone use and sleep quality2, 3. One study specifically looked at social media use on mobile devices at bedtime — it recommends against getting your social fix from bed, warning that it’s more likely to cause insomnia, anxiety, and reduced sleep4. 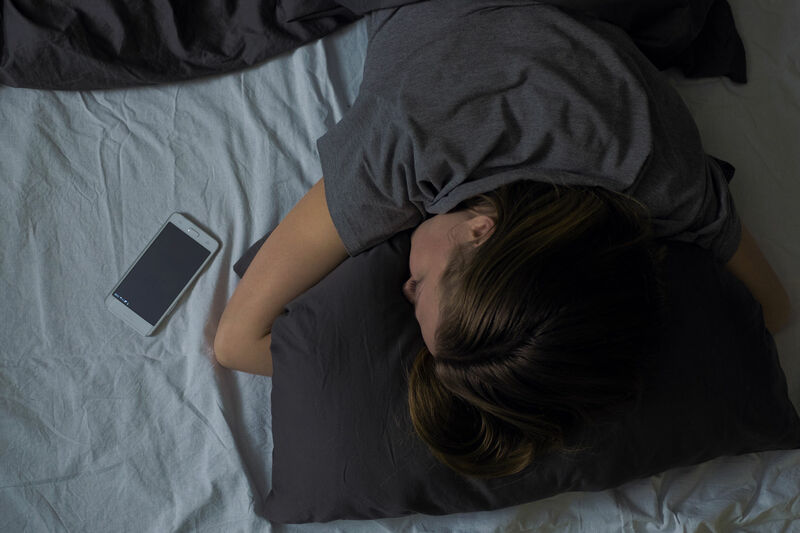 If your phone is getting in the way of a good night’s sleep, or you’d just like to enjoy disconnecting at night, here are Dr. Reynolds’ top tips to get you started. Cut off and switch off. It’s understandable why so many of us are having trouble switching off at night: “Things are happening 24 hours a day, 7 days a week, our society never really switches off. We can connect to people who are just waking up on the other side of the world, we live on different sides of the world, we have friends that are working night shift, there’s always something going on and we don’t want to miss out. “At some point though, we have to realise that not missing out now might be really negatively affecting our health in the future, which will mean we miss out on other stuff,” concludes Amy. If your phone feels like it’s attached to your hand at times, it can be challenging to break your routine and form new habits. But never underestimate the value of quality sleep, and the simple things you can do to help make sure you’re getting what you need.